Don't go with the flow, BE THE FLOW! 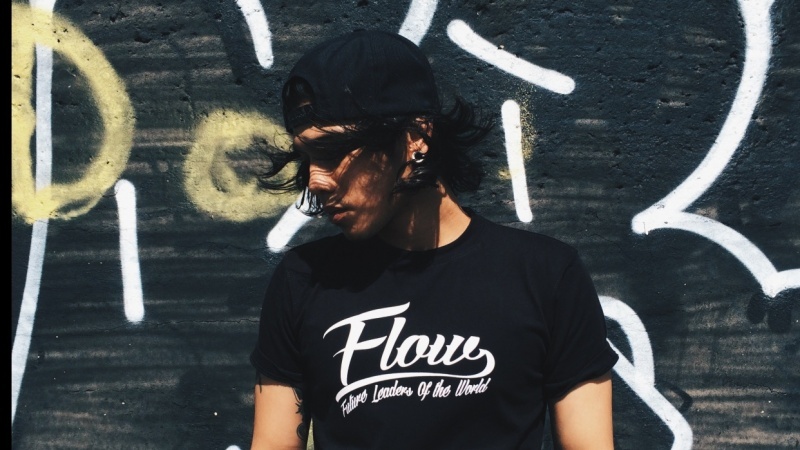 FLOW is a two component lifestyle project that is comprised of a clothing line and a social outreach community. FLOW is an acronym for Future Leaders Of the World. Additionally, it reflects being in a flow state of mind. In other words, completely focused motivation (grind mode). Foster – Don’t let your ideas fall by the way side. Develop your ideas, task yourself with continuous learning, and cultivate these ideas. Make it a habit to do something every day that gets you one step closer to your goal. Resilience – Don’t let anyone steal your dreams. Many people will be unsupportive of your ideas. Continue to develop and keep it pushing. Most of all, recover quickly from setbacks, dust yourself off, and move on. You only fail when you give up! Contribute – Use your gifts to contribute to society by making a difference in the world. Use the things you learned along the way and transfer that knowledge to others “Each one, Teach one”. Please visit my website to get a more detailed overview about the company in "The Brand" section. I wanted to make a t shirt that spoke to the masses and is a conversation starter. My main focus is to create timeless clothing that is appropriate to wear in public around all ages. I often tell customers that we aim to inspire others through our clothing. I chose to create a hip modern version of Mt. Rushmore using hip hop legends to convey the story and the message. The graphic has the graffiti era feel to it and it's imperfections makes it perfect to me. The graphic is colorful, stylish, a conversation starter, and you feel like the future Leader/Legend you aspire to be while rocking it. Being that the graphic is so detailed I had to go the direct to garment route. For the details of the graphic to show I used a 5.5oz ringspun cotton. I think the result was pretty dope!